Yes, many of the burn areas here are turning green again but so far it's due to the return of non-native grasses. 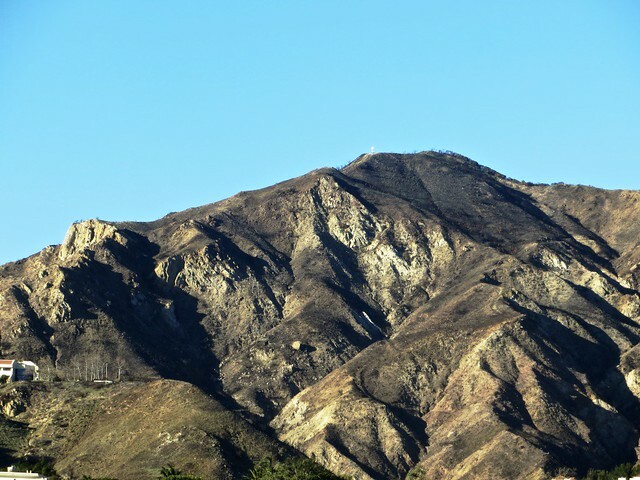 Whether the oaks and sage and sycamores, the vervain and penstemon and blue-eyed grass, the cacti and clovers and phlox and wild roses and hundreds of other California natives can recover from a wildfire that burned so hot it literally denuded the mountains, burned them to a degree that has shocked virtually everyone, remains to be seen. Previous story: It's Puppy Wednesday!